Gonna keep it a little short here this week as I've been busier than a one armed paper hanger, but I do have a couple of things to go over. I'm canceling the "Look Alike" contest do to a lack of interest. Thought it would be fun but I guess there aren't too many people who want to admit they look like a dog. I find it a great compliment myself but I guess not too many others do. I have a product alert for you all this week that really only applies to the USA as far as I can tell, but it wouldn't hurt those outside the States to check with their local authorities, just in case. Banfields Hospitals, an affiliate with Petsmart stores has been implanting identification microchips that are unable to be read by the majority of the scanners used by veterinarians and animal shelters around the country, thus making them fairly useless. The AVID and Home Again companies distributed the majority of the scanners currently in use. The AVID and Home Again scanners and chips, the ones most widely used, operate on a 125 kHz frequency. The Banfield Hospital microchips and scanners operate at 134kHz. This means that Banfield Hospital's product will more than likely do you no good at all and is virtually a waste of money. The thing to do to be sure is check with your local Animal Control office and find out which system is in use in your area, and make sure it is compatible with either what you have or what you are planning to get. Honestly, I think it was pretty irresponsible of Bansfield and Petsmart to introduce a product so important to animal safety that isn't compatible with the system we already have in place. I thought they were supposed to promote what is best for our dogs. I guess I shouldn't be surprised though. After all, they sell shock collars too. Okay people, that's all for now. Keep the letters and comments coming. Last year our dog of fifteen years became ill and passed away. We have been going back and forth deciding if we should get another dog until we finally decided the time was right. We loved our other dog deeply and just weren't ready until recently. We aren't too excited about dealing with another puppy at our age and decided the best thing we could do would be to go to the dog pound and rescue a dog from there. We aren't set on a particular breed and have decided we will “know” the right one when we see him. As we were discussing it we began to think we could be in just as much trouble with a rescue since we won't know its history or where exactly it came from. I recently read that many dogs that are adopted from shelters are returned to the shelter in a very short time as the result of behavioral problems. What can we do to increase our chances of success with a dog we know little and or nothing about? Would it be easier just to go ahead and get a puppy? We would love to know what you think. Every year, thousands of dogs are destroyed in cities around the country. Many of these dogs are relinquished by their owners to the shelters for no better reason than their boyfriend/girlfriend doesn't like dogs, or they are just too lazy to put the time into the animal that it deserves. It is a sad commentary on the way many people choose to look after man's best friend, but it is a fact. The best dogs I've ever owned have been rescued dogs or strays I happened upon. I don't mean to imply the pure breed dogs I've owned weren't any good, in fact some of these rescues were pure breed. It's just that the ones who stick out in my mind are ones I got from those sources. This doesn't mean every dog in a shelter is going to be a great dog and in fact most, if not all, need special attention in order to be brought to a level which will make them not only good pets, but also good citizens. It doesn't take much effort but it is necessary even if the dog is behaving perfectly when you get him home. So why is it we need to take these extra steps even if the dog acts perfectly when you get them home? For a couple of reasons. Whether the owner relinquished the dog or, Animal Control Officers picked up the dog, we never truly know the dog's experiences. If officers pick up a stray, it is obvious why we don't know what the dog has been through. In the case of dogs relinquished by the owner, what makes us think the owner would tell shelter personnel they ignored or abused the dog if that is the case? This would mean they would have to admit culpability and that's just not going to happen. Lets face it, we all know humans are perfect, right? With this in mind, we should error on the side of caution and just assume the dog was neglected or abused. To me, it just makes sense to take minimal precautions to prevent future behavioral issues. Beyond that, we want the dogs to adapt to our homes and not revert to the behavior that may have gotten them dumped in the first place. Many shelters and rescue operations use a process called Temperament Testing. It is designed to determine whether a dog can be rehabilitated and also to indicate a dog's issues that may not be outwardly apparent. This process was recently featured in a show on the Animal Planet cable channel and has caused quite a bit of controversy. The process shown on the episode was not true temperament testing. Quite honestly, it was a joke and should probably be called "Test to Determine if Training this Dog is Beyond My Abilities." Believe me, at least half of our readers' dogs would have failed this test and would have been destroyed. All based on an inept testing procedure. It in no way accurately predicts the future behavior, or past experiences of a dog. There are several resources for obtaining a rescued dog, all with their own pluses and minuses. Before you decide on where you are going to get your rescued dog, there are a couple of things you must consider to ensure you are picking the best resource for you and your needs. I think every municipality has an Animal Control Office (ACO) that picks up strays and is also responsible for investigating and rescuing animals from abusive owners. They are funded through your tax dollars, are generally under-funded, and their staff is usually in need of appropriate training. This is not intended to be a wise crack at the employees of these operations. It's just been my experience. All dogs that are picked up by ACO are usually placed in quarantine for rabies if they are not wearing tags, given a physical exam and then put up for adoption if the owner does not come to pick up their dog. Most are only given from four to seven days for someone to adopt them, then, they are euthanized. Unfortunately, more are destroyed than adopted. Dogs in most ACO's receive little, if any, interaction with humans. They are kept in concrete kennels that are damp, loud and crowded. These dogs are under an enormous amount of stress and desperate for human contact. Their diets are rarely regulated and the quality of food is often very poor. With all these things against them, many of the dogs in these facilities are loving animals that would make wonderful companions. They will usually require a little more work initially to help them recover from their ordeal, but nothing that is insurmountable. If you are willing to put in a few extra minutes a day, then I highly recommend getting a dog from ACO. You will not only get a great friend, but chances are, you will have saved a life. All around the world you will find No Kill Shelters. (NKS) These operations work similar to ACO, however, most are non-profit organizations relying on volunteer support and donations. NKS will usually keep dogs indefinitely or until the dogs are adopted to suitable homes. Many prescreen prospective adoptive families to ensure they have appropriate facilities to house the dog. They also tend to interact with the dogs more, even providing very basic levels of training. The dogs are given appropriate medical care and diets and are able to go outside and exercise with volunteers. Since the staff is usually more involved with the dogs on a one on one basis, the can provide more information about the dogs personality, likes and dislikes. Private Rescue Operations (PRO) are usually privately owned, many operating on a nonprofit basis. Most of these operations tend to be breed specific and are run by fanciers of the breed. Many actually have an extensive network of foster parents who raise and train the dogs in a home setting until a suitable forever family can be found. They often take on the most dramatically abused animals that are in need of extensive veterinary care - the dogs that couldn't be provided for at the other shelters mentioned above. Many of these dogs stay with their foster parents for a month or more and tend to be a little more settled once they are adopted. Once we have selected where to get our dog and even picked the animal, we must ensure we establish a strong foundation for the dogs when we bring them home. We often want to coddle them because we feel bad about their past. We also tend to let them get away with behaviors we know we aren't going to accept later. This establishes a dangerous precedence that will back-fire on us as the dog becomes comfortable in the home and develops more confidence. To avoid this, we must lay down the rules immediately upon the arrival of the dog. Never ignore unwanted behavior out of pity, but don't take a heavy-handed approach either. I also believe it is advantageous to take a rescue to a professional trainer who is knowledgeable in behavioral analysis. This will allow you to better understand your dog's personality, confidence levels, and fears. They can then put together an individualized training and behavior program to help you acclimate your dog to their new family. In the end, rescued dogs are a wonderful way of obtaining a dog. Where to obtain your rescued dog should depend on your level of experience with dogs and/or the time you are willing to commit to their rehabilitation. As always, do your research and don't simply allow emotion dictate your decision. If you dot your "i"s and cross your "t"s you will find rescues a fantastic way to go. If your dog has a defect, love it, show it, work it, canonize if you must, just don't fall prey to the idea that the breed will not go on if you don't breed it. Because the future of any breed does not hang on one dog but it's demise just well might. I will have to admit, the Standard Poodle has never been on my top-ten list of dogs I would own personally. I knew it was an intelligent breed, but they never really struck my fancy. Until recently. A month or so back, I was hired to conduct in-home training with a wonderful lady who lives near me. Her dog was a Miniature Poodle named Snickers that quite honestly, just cracked me up he was so funny. 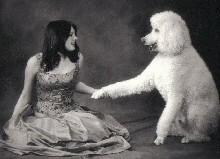 When I finished with Snickers and his owner, her daughter's family hired me to work with their two Standard Poodles. As I worked with these two, I found I was having more fun than I have in some time working with a dog. Their personalities are completely opposite but they both seem to have comical little ways they go about the things they do. These three dogs, I'm including Snickers even if he is a mini, quickly gained my respect and admiration. What a hoot they have been. The Standard Poodle is a medium to large breed dog that can range in weight from 50-80 lbs (23-33 kg) and can range from 15-22 inches (38-48 cm) at the withers. They are strongly muscled, elegant and stand in a dignified, confident manner and walk with a light springy gait. I find them to be extremely trainable and intelligent but will use this intelligence to get one over on you, if you let them. Their coat is a dense, curly wire coat that does require professional grooming. There are three basic styles of grooming. There is the "Pet or Puppy" clip which leaves relatively short hair all over the body. There is also the "English Saddle" clip and "Continental" clip which are pretty similar. These clips leave the rear half of the body shaved leaving bracelets around the ankles and pom-poms on the hips. Any solid color of coat is considered acceptable. They should be groomed every eight to ten weeks and bathed regularly. The traditional clips may look a little "prissy" but actually have a very practical application as they are designed to lighten the coat for swimming while protecting the vital organs and joints from the cold. The most common cut many owners who don't show their dogs use is the Lamb cut. This cut basically keeps the hair the same length all over, is more economical and easier to maintain. They shed little to none and are a good choice for people who are allergy sufferers. They have a long, well defined head and muzzle. The skull is slightly rounded with a minimal stop. Their teeth should meet in a scissor bite and their ears should be wide and hang close to the side of the head. The eyes should be oval and dark. The eyes can be lighter in some coat colors, but the rule of thumb is the darker the better. The distance from the rear to the breast should be equal or close to the height of the dog at the withers. Their top-line should be should be level with the exception of a slight indentation behind the withers. Their feet should be oval and compact and their tail, according to standard, should be docked to half its original length. The Standard Poodle has a pleasant, happy and playful spirit. They are generally friendly with strangers and are excellent in homes with small children. They tend to be a little calmer than their smaller counterparts but have a tendency not to like being alone. They need interaction with others and may do better in a home with another dog. While some say they will do well in an apartment, I strongly disagree. The dog was originally developed to retrieve waterfowl therefore their inherent nature is to be active. They are also fairly large and playful and I just can't see them doing well in an apartment. While they have a life expectancy of thirteen to sixteen years, they also have a few genetic issues that need to be considered. They are subject to progressive retinal atrophy and cataracts, which can cause blindness. Allergies and skin conditions are also common although some believe this condition is brought on by groomers who are unskilled with their clippers and the complexity of the clips the dog standards demand. Many lines are prone to hip dysplasia, runny eyes and ear infections. Some can also develop PRA and Von Willebrand's Disease. They are also prone to bloat, so special care should be given to ensure they are not excessively exercised before or after a recent meal. The Standard Poodle is not without its controversy. 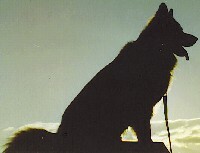 Several countries have fought for the right to be called the birthplace of the breed. France, Germany, Denmark and the ancient Piedmont have all laid claim to the right, however it is generally accepted now that France is the breed's "home." One thing that is certain is that the Standard Poodle is a direct descendent of the nearly extinct French Barbet and the Hungarian Water Hound. The name most likely comes from the German word, Pudel, which means, "one who plays in water." It has a long history as a hunting and water dog, and its name in several languages reflects this. They have been trained to sniff out truffles as well as prey and have even been used widely as circus performers. The Toy and Miniature versions are all considered as one breed and, thus, are judged by the same standards in competition. As I said in the beginning, the Poodle has never been too high on my list, mainly because I guess I didn't view them as too "manly." Let me assure you of one thing ... This ain't no sissy dog! Go check them out. - Marketing and advertising knowledge taught here. Come learn with us! How to's, latest news, great resources, informative articles, weekly free ads + more. Read the latest issue and join our family today! 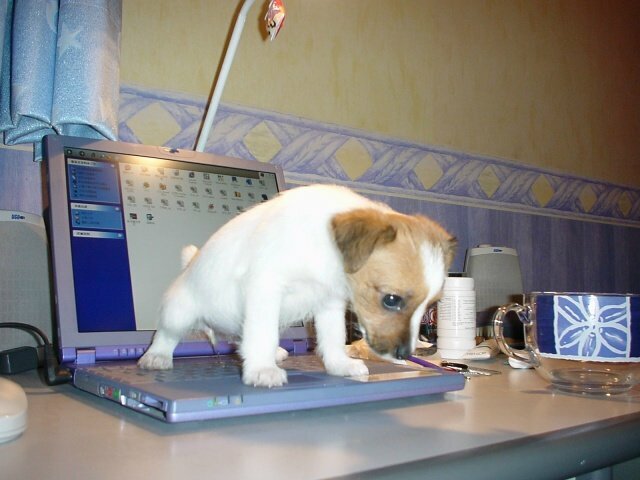 "Come shop at our Virtual Pet Store!" No driving, no traffic, no lines! Need a soft bed for your furkid? Looking for that special toy that will keep them happy for hours? We have hundreds of quality products to choose from! WEEKLY Special Sales and GIFT with purchase too! 12:00 no - Oh Boy! Kids! My favorite! 1:00 pm - Oh Boy! The garden! My favorite! 4:00 pm - Oh Boy! Kids! My favorite! 6:00 pm - Oh Boy! Playing ball! My favorite! 6:30 pm - Oh Boy! Sleeping in Mom's bed! My favorite! Today my attempt to kill my captors by weaving around their feet while they were walking almost succeeded, must try this at the top of the stairs. In an attempt to disgust and repulse these vile oppressors, I once again induced myself to vomit on their favorite chair, must try this on their bed. Decapitated a mouse and brought them the headless body, in attempt to make them aware of what I am capable of, and to try to strike fear into their hearts. They only cooed and condescended about what a good little cat I was. Hmmm, not working according to plan. There was some sort of gathering of their accomplices. I was placed in solitary throughout the event. However, I could hear the noise and smell the food. More importantly I overheard that my confinement was due to MY power of "allergies." Must learn what this is and how to use it to my advantage. I am convinced the other captives are flunkies and maybe snitches.